Attested since the 1610s, from the earlier form trouzes (attested since the 1580s), extended from trouse (1570s), with plural ending typical of things in pairs, from Middle Irish triubhas (“close-fitting shorts”), of uncertain origin. The unexplained intrusive second -r- is perhaps due to the influence of drawers. The trousers need to be shortened. Why can women wear trousers when men can't wear skirts? "Pants" is about four times more common in the US than "trousers", based on use in COCA. 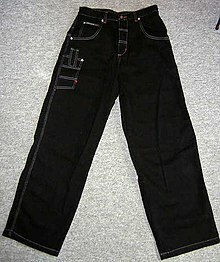 "Trousers" is about nine times more common in the UK than "pants", based on use in BNC. "Slacks" about one tenth as common as "pants" in the US and "trousers" in the UK.